Xilisoft DVD to 3GP Converter, excellent DVD converting software with amazing sound and image quality, helps you convert DVD to various video and audio formats like DVD to AVI, DivX, XviD, ASF, WMV, VCD, VOB, WMA, and MP3. 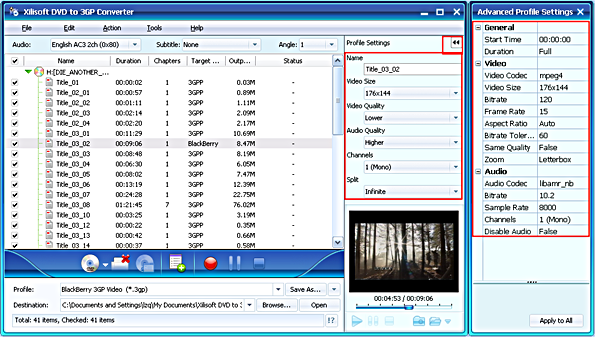 In addition, you can choose any chapter or segment to convert DVD, customize output file size as required, and create custom profile for future use with this DVD converting software. 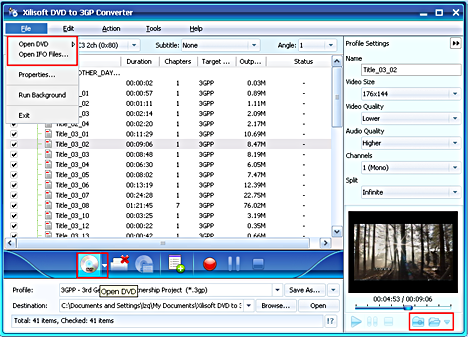 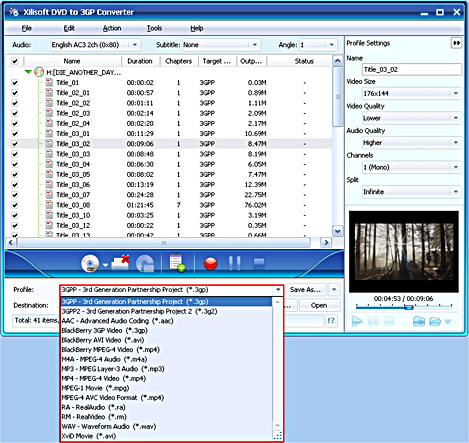 Here is a step by step guide of Xilisoft DVD to 3GP Converter 5. Hope useful for you!